Today is the 16th annual National Simultaneous Storytime, a fantastic countrywide event aiming to promote reading and literacy by encouraging schools, preschools, libraries, families and communities to host events that create fun reading experiences for children. 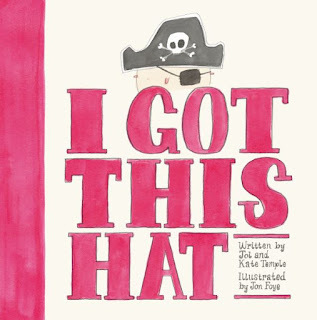 At 11am this morning (AEST) around the country children will be having a wonderful time enjoying the feature story for National Simultaneous Storytime this year, the hilarious I Got This Hat by Jol and Kate Temple, illustrated by Jon Foye. It’s not too late to get involved. Check out the events calendar for your local library to see if they are hosting an event, or visit the Australian Library and Information Association website for information about National Simultaneous Storytime 2016 including links to video readings of I Got This Hat. We can’t wait to sit down at 11am and join a whole nation of parents, carers, librarians and teachers encouraging our youngest generation to develop a love of stories and reading.